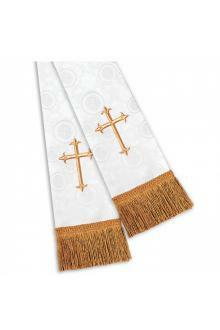 Traditionally styled, this exquisite clergy stole is tailored in Millenova, a colorfast polyester brocade. 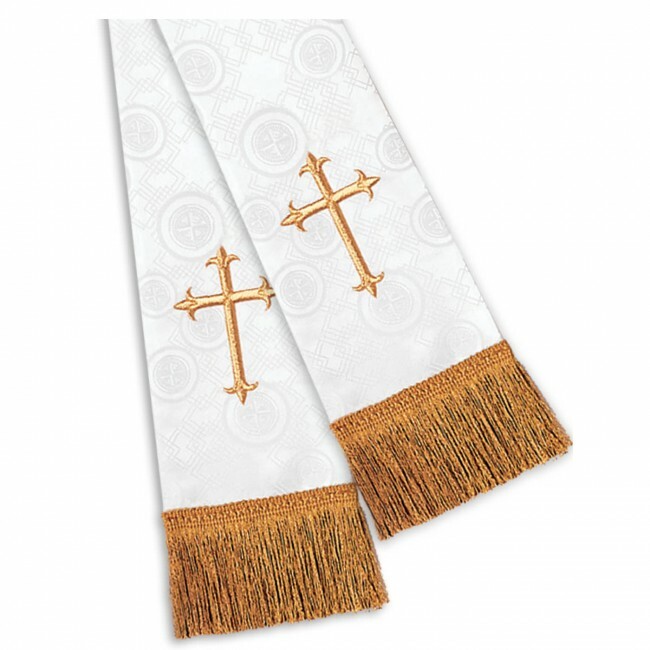 Millenova is one of the first fabrics woven specifically for church use and features the Christ Victory Cross symbol throughout the weave. This design was first used by early Christians as a symbol of their faith. Individually gift boxed.